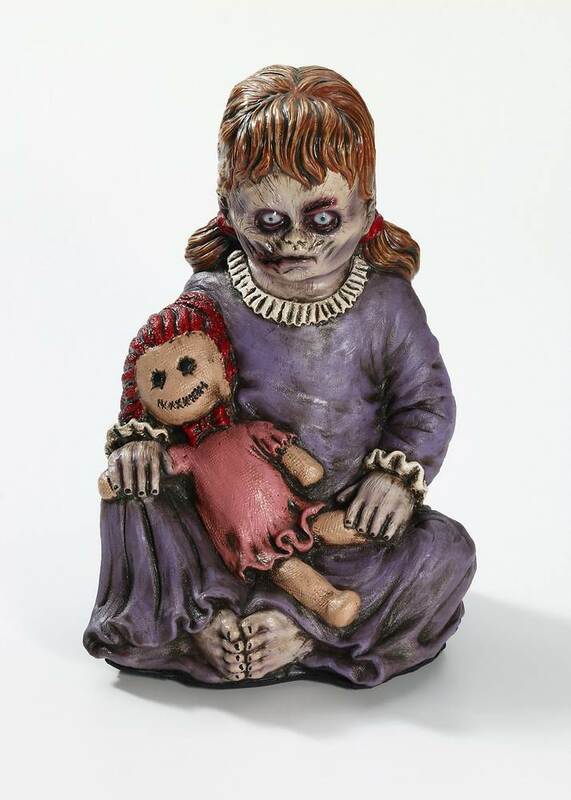 This creepy baby girl zombie and her dolly will add the perfect touch to your zombie nursery! Foam filled latex prop measures 16'' tall x 12'' wide x 10'' deep. Got this girl and her brother when they were on sale for 20 dollars each. Both are nicely made, and they'll be a nice addition to my Halloween display next year.